Minnesota’s pre-state era is very complicated, in that any and all local governments could issue automobile numbers, and many did. Beginning in 1903, and running through the end of 1908, auto numbers were assigned by counties, cities and townships in an overlapping patchwork that was certain to create confusion. There are very few known pre-state era license plates that can be positively identified (by accompanying paper registrations) as originating in Minnesota, other than Minneapolis’ 1908 issue, and an undated St. Paul tag from the same year. The state began issuing uniform license plates to all motorists statewide in 1909. 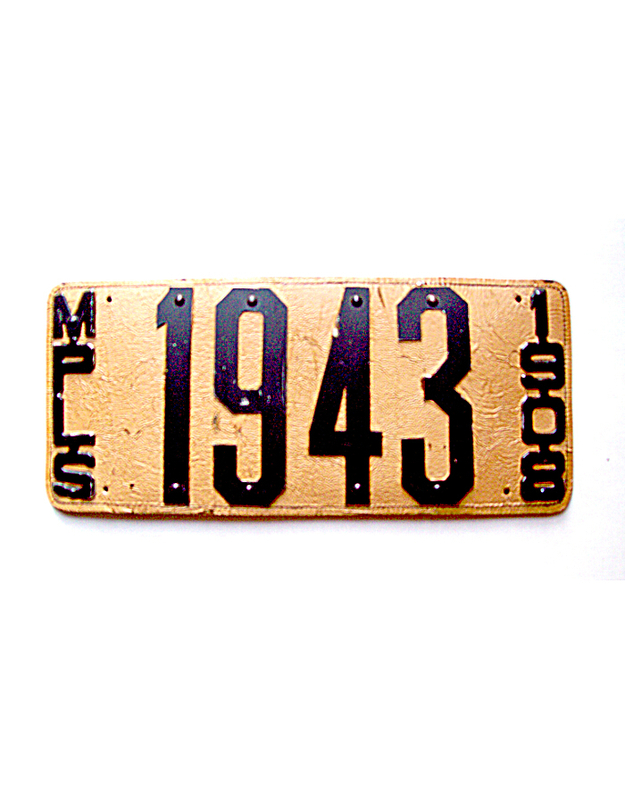 Minneapolis provided a standardized license plate to its motorists in 1908. It was a stiff leather pad to which flat metal numbers were affixed by rivets. This plate included the abbreviation MPLS vertically down the left side and the date 1908 in similar position down the right. Although they are scarce, examples of 1908 Minneapolis plates can be found in collections today in virtually unused condition, since a few were discovered in City Hall many decades ago. 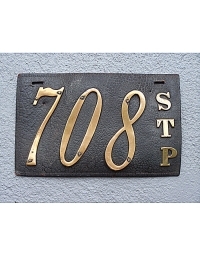 The St. Paul plate may have also been officially issued by the city.